Play It specified and installed poured-in-place (PIP) rubber safety surfacing underneath the school's new playground equipment. By incorporating the PIP surfacing flush with the rest of the play area, the playground minimizes trip hazards and complies with ADA guidelines for accessibility. Bonded rubber paths from Play It were integrated into the play area to not only help direct the flow of children throughout the playground, but also to serve as a jogging path for gym class and for teachers to survey activities. 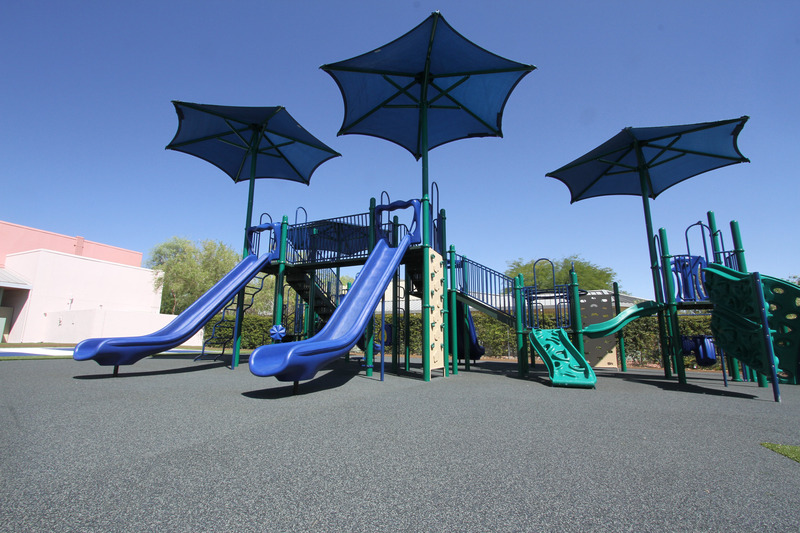 Like all of the playground's surfacing, Play It bonded rubber paths were specified for their ability to stay clean in any weather and limited maintenance requirements. 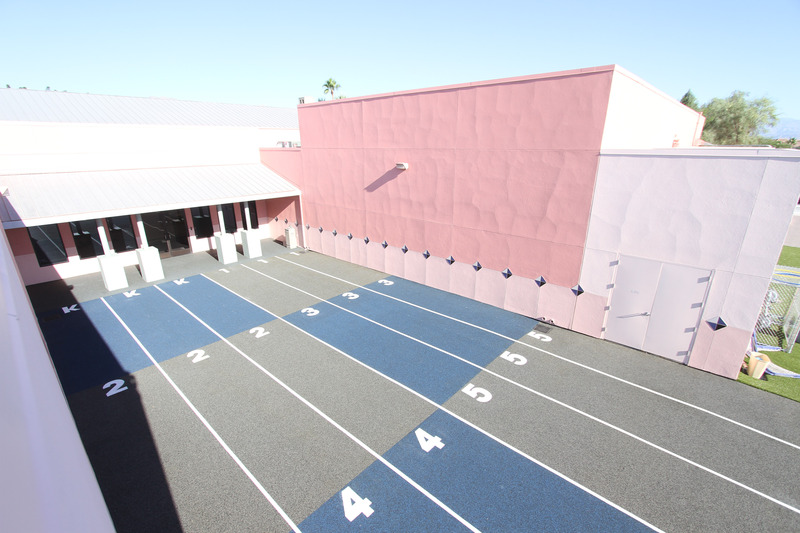 To help organize the students return to class after their fun, this color-coded poured-in-place rubber surfacing was designed as a place for kids from each grade level to gather. 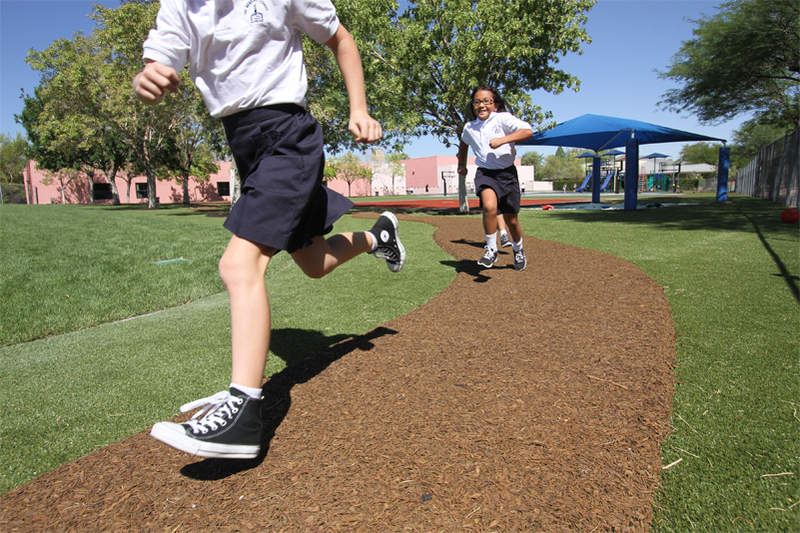 Bonded rubber mulch was used throughout the playground in place of typical landscape mulch. 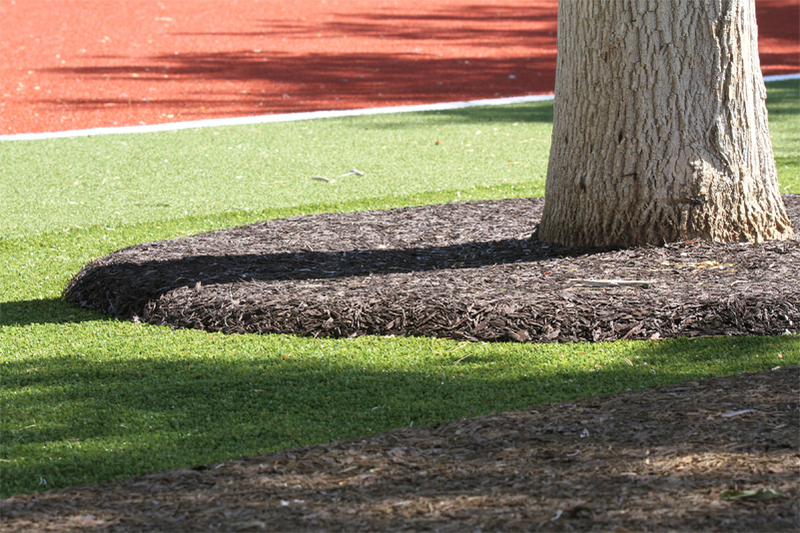 In addition to being a safer, cleaner alternative to traditional wood mulch, bonded rubber mulch requires very little work to maintain its appearance.